'MLM' The American Dream Made Nightmare: Robert FitzPatrick explains 'MLM,' the Longest of Long Cons. Robert FitzPatrick explains 'MLM,' the Longest of Long Cons. Herbalife's controversies officially started with a simple question about where its revenue actually comes from. The question implied bogus sales of "distributorships", fraud on a global scale. The "Long Con" is a tradition in America, involving the fraudulent selling of stocks, health remedies, and business opportunities. Pyramid selling schemes are part of this tradition. Pyramid schemes improved Ponzi schemes by inducing victims to find new victims for the money transfer. Chain letters were the first pyramid schemes, leading to MLM. MLM was invented in the 1950s as "direct selling" died. They are unrelated. Direct selling is about needs for products; MLMs about need for income. MLMs offer the "endless chain". The FTC tried to halt MLM. Failure in the 1979 Amway case led to the legend of legalization. Now the real history is revealed. MLM, with Herbalife, are on trial. 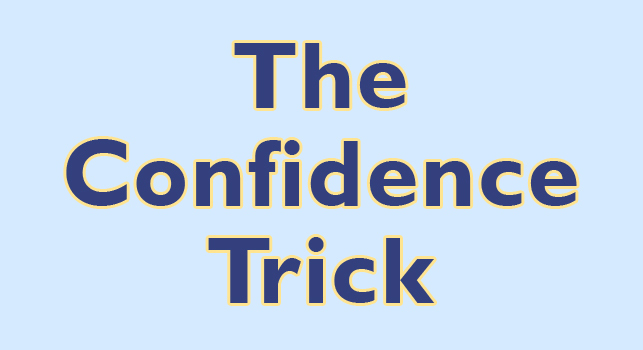 Wikipedia: "Confidence Scheme… an attempt to defraud a person or group after first gaining their trust… The Long Con is a scam that unfolds over several days or weeks and involves a team of swindlers, as well as props, sets, extras, costumes, and scripted lines. It aims to rob the victim…"
We approach three years since the Pershing Square's "fraud thesis" presentation that shocked Herbalife and the "multi-level marketing" world. That public exposure along with subsequent and closely related pyramid scheme prosecutions by the FTC have apparently spurred the Direct Selling Association to seek congressional protection from whistle blowers, short-sellers and law enforcement. With the passage of time and after much diversion, to recover the full meaning it will be useful to revisit the trembling event that preceded that earthquake. During a Herbalife (NYSE:HLF) earnings call in April 2012, hedge fund manager David Einhorn politely asked how much of Herbalife's products get sold in the open retail market. In its sparseness and simplicity, that one question goes to the heart of the issue and its consequences for consumers, investors and regulators. The question went beyond an inquiry about channel stuffing. It implied that Herbalife could be basing its entire business on fooling consumers into buying unprofitable and unfeasible Herbalife "distributorships" and related products, and then calling these channel transfers "sales." It pointed toward global fraud and it implicated all other MLMs operating like Herbalife. Historically, the dishonest selling of unprofitable and unfeasible "retail" businesses to unwitting consumers was a pervasive national abuse of franchising in its earlier years. Some unfortunate franchisees lost life savings, interrupted careers, saw their deepest hopes dashed and their families disrupted or destroyed, but the franchisers' businesses flourished and every "sale" enlarged the new franchise "industry." The sales included franchise fees, inventory, and supplies and equipment for businesses that would never get off the ground or would inevitably close within a year or so due to market-based reasons that would be obvious perhaps to those with business experience but invisible to the naïve beginner with dreams of "being your own boss." The reasons for the "failures" such as overselling of franchises in areas, excessive franchise charges or lack of demand, were known to the "franchisers". These smiling and "positive-thinking" promoters were actually franchising hope, not business. The "sales" were based on "testimonials", glossy sales materials, the manipulation of the buyer's trust and by misleadingly depicting "franchising" itself as economic salvation. No hard data on profits or losses, costs, failure rates or even on the number of other franchisees in the area were disclosed to the hopeful buyers or required by law to be provided. Those early "franchise" scams are part of a peculiarly American tradition of "Long Cons." They include the selling of worthless or even non-existent stocks, real estate that lay under water and useless herbal concoctions promoted as miracle cures. This tradition was immortalized in Herman Melville's, The Confidence Man, a metaphorical tale in which recognizable American types - righteous preachers, "doctors" with patented health remedies, "successful" businessmen and philosophers of "self-help" - are shown callously conning their fellow American passengers on a Mississippi steamship. The Florida real estate scam of the 20's, Charles Ponzi's famous fraud of the same period, and the penny stock swindles of the 1970's and 80's are also part of this Long Con tradition to which we must add "multi-level marketing." Federal disclosure rules ended the franchising version of the Long Con by making franchising, if not reliable, at least transparent. Meanwhile, the modern characters on stages at MLM "extravaganzas" continue to bear uncanny resemblances to Melville's smiling rogues of a hundred fifty years ago. The fraud accusation against Herbalife illustrates a significant development in American flim-flam, a form of Con that was unknown to Melville or Ponzi, and apparently unfamiliar even to Bernie Madoff who merely copied Ponzi. This new form of scam is called a pyramid scheme. The pyramid scheme first appeared in America in the form of the "chain letter", a Long Con that shared Ponzi's system of continuously paying earlier investors with funds from later ones, but also markedly improved upon it by getting the participants themselves to carry out the mandated task of finding the later investors. As the model adapted it settled on the "business opportunity" as its main bait. When the chain letter was in its heyday in the 1930s, upon receiving the curious solicitation in the mail, the hopeful recipients would send a dime coin through the mail to the top person on the chain letters' list, then take that person's name off the list and add their own to the bottom. The revised list was then copied and mailed to at least 4 others, usually friends or relatives, asking each to do the same. Across the land, Americans were soon mailing dimes. The promise was that all could receive an enormous reward when their own names eventually rose to the top position and they received dimes from all those at the bottom. Other iterations of the chain letter involved dollars not dimes, and later, as "gifting schemes," the chain's entry cost was boosted to thousands of dollars with the chain structure limited to four levels, yielding 800% returns in much shorter time frames. The mail service was also avoided with face-to-face giving of cash in "gift" wrappings. The chain letter's basic ingredients were exactly the same as today's "business" pyramid schemes', (1) the structure of the "endless chain" (2) promise of extraordinary reward to all who join, (3) system for transferring funds from the bottom to the top, (4) requirement to pay, (5) mandate to recruit other participants in order to gain the promised rewards. Most chain letters also include an accompanying sinister warning or condemnation of those who "break the chain", which in modern "business opportunity" schemes manifests as scorn and vitriol heaped on "quitters and losers." Hatred, even violence, is reserved for critics and whistle blowers. The chain's greatest attraction is the promise of extraordinary reward gained from ongoing expansion. If the chain letter's list grew 10-levels below you, for example, with each recipient adding 4 people, nearly 4 million people would, in theory, send you their dimes, about a half million dollars (or millions more if the currency is dollars). The problem was that, based on that same math projection, the list could only grow by about 5 more levels before it would surpass the earth's population… but who does "exponential" math? This was perhaps the great epiphany that the inventors of today's pyramid "selling" schemes gained from chain letters. They must have observed that a promise of continuous "exponential" expansion, with money flowing back to each participant who was persuaded to pay and recruit others could captivate minds and cause national mania. Best of all, when cleverly organized, it produces a financial bonanza for those running the con, with few people noticing that the plan only works for those that started it. Bada Bing! The chain letter is the genetic precursor to today's pyramid selling schemes like Herbalife and a host of others. It had proven its capacity to excite and to enroll millions. It provided the blueprint and formula for a remarkable money-generating program. It demonstrated the ability to carry out a massive delusion and deception in plain sight. But there's the rub. The pyramid scheme, as chain letter or any other "endless chain" proposition, relies on the Big Lie. It therefore needs disguise, diversion, and a false identity. Over time the necessary tools of deception were developed and refined as the chain letter evolved to its new persona, called "multi-level marketing." In the new identity as purveyor of a business offering and income opportunity based on the selling of goods, the humble chain letter income promise gained the power to create cults, control minds and lead the truest believers to abandon family and friends for a new life among a "community of winners." The chain letter has mostly disappeared but the US Postal Inspector still warns consumers of this rudimentary pyramid scheme with omens of what was to come as it grew in sophistication and spread globally. "There's at least one problem with chain letters. They're illegal if they request money or other items of value and promise a substantial return to the participants… Chain letters don't work because the promise that all participants in a chain letter will be winners is mathematically impossible. Also, many people participate, but do not send money to the person at the top of the list. Some others create a chain letter that lists their name numerous times--in various forms with different addressee. So, in reality, all the money in a chain is going to one person… "Selling" a product does not ensure legality." The Postal Inspector's warning points out the pyramid scheme's inherentdeception and mathematical illusion, but it also notes that the scheme can be altered so that all the money goes to the same people. It also forebodingly notes that "selling a product" does not necessarily change the illegal nature of the fraud, portending that product sales would become the chief disguise of the evolved chain letter. Buying and selling soap and shakes would eventually replace putting dimes or dollars in envelopes as pyramid currency. Replacing dimes and dollars-in-envelopes with buy-sell-transactions-of-consumer products, some of which are further enhanced with claims to magical powers to melt away fat, restore hair loss, halt aging, banish chronic illness, and cure Alzheimer's. MLM's ubiquitous and miraculous "pills, potions and lotions" (actually, almost any commodity will work) disguise naked transfers of cash and divert attention from the impossible mandates for "endless" expansion. Adding ongoing "qualifying" investments to the basic pay-to-play requirement with periodic volume quotas and recruiting requirements to accelerate and vastly enlarge the money transfer. Adapting the reward formula so that those at the top are never taken off the list. In the modern version, the same "leaders" always get money from each new participant. The genius of this alteration is that those at the top are insulated from the pyramid scheme's fatal math fallacy. Only those at the bottom are punished by the reality that expansion cannot continue. Those at the top always gain as those below churn in-and-out, vainly trying, like Sisyphus, to extend the chain, said to be "infinite." Requiring legally binding "business contracts" to handle the chain letter's deficiencies from cheating, non-participation, quitting, or whistle-blowing. Pyramid contract terms include mandated payments and renewal fees, non-compete, non-disparagement, no speaking to media, no price negotiation, no product returns without resignation, and no buying or selling outside the "line of sponsorship." Evolving from the simple and voluntary chain letter folly, the modern pyramid selling scheme became a politically-protected corporate dictatorship, employing "terminations" for rule-breakers and defamation lawsuits and character attacks on critics. Converting "quitting" into a safeguard against pyramid self-destruction. In the maintenance of an ongoing pyramid scheme, a massive annual failure rate is mathematically necessary and useful. Without such attrition the scheme would consume itself with total saturation of recruits. To endure, (the Long Con) the chain must be able to repair the break daily. In MLM vernacular, this is called "breakage", an integral and profitable part of the regulated system. Computers track the "genealogy," instantly salvage lost payments and redirect them to upper levels, making successful recruiting appear even more enticing. More than half of all rewards end up with the top 1% on the chain. Not only does breakage in modern schemes not end expansion, it ensures its continuance at fractional, not "exponential" rates. When the chain letter craze of the 1930's lost favor, millions of participants' correspondence reportedly wound up in the Postal Service's "dead letter" box. The MLM chain, however, is designed to operate in a continuous stateof collapsing and rebuilding. It is the coming and going of humancommodities that is the scheme's true commercial traffic. As far as it is known, Herbalife's pyramid structure and pay plan were invented in the mid-1940s by the master-distributor for a vitamin company called Nutrilite. Founded in the mid 1930's Nutrilite was the maker of alfalfa-filled vitamin pills that the founder, Carl Rehnborg, developed and sold at a price in today's dollars of $200 for a one-month-supply. He justified the exorbitant price with claims that his pills produced amazing medical benefits, healing, alleviating or preventing all manner of illness. Nutrilite languished until a distribution company took over as exclusive sales and marketing agent in 1945. The owners of that distribution company, Lee S. Mytinger and William S. Casselberry, are likely the inventors of the chain-letter pay plan, the first of its kind then and has remained essentially the same since then, as it is used by hundreds of "MLM" companies now. Through the 1950's Casselberry and Mytinger explosively grew Nutrilite volume, recruiting a sales force of 80,000 "distributors", one representative for every 600 households in America at that time! The Nutrilite sales force grew to this enormous size and ballooned in revenue because the Mytinger and Casselberry plan rewarded the salespeople who recruited other salespeople, paying them overrides on their recruits' purchases, mandated to pursue the "business." The more recruits, the more reward, totally apart from, and seemingly easier to gain than from personally selling pills door-to-door. The recruiting-based rewards included the extraordinary promise made famous by the chain letter. Rewards compound level by level in a "sales" chain without end. The pay plan attracted no regulatory scrutiny, still viewed as just "direct selling", but Nutrilite did come under severe pressure from the Food and Drug Administration, FDA, to stop making false medical claims to the public, even raising the possibility of the company being shut down by the federal government. Two 12-year veterans and top performing salesmen for Mytinger and Casselberry defected in the mid-60s to establish a virtually identical and competitive company based on the same chain-letter pay plan. The apostates were Richard Devos and Jay Van Andel. They called their new company, "American Way Association", later Amway. They escaped Nutrilite's non-compete contract that they had signed and evaded the FDA's charges of sales fraud by offering non-health-related products - soap and other household goods. Using the name, American Way, also helped to erase their 12-year history of having personally sold overpriced goods to Americansbased on false medical claims, according to the American government. The invention of MLM by Mytinger and Casselberry corresponded in time with, and was undoubtedly inspired by, the beginning of the end of true "direct selling." Large retail stores and mail order catalogues and other social factors made door-to-door and in-the-home selling obsolete and uncompetitive. By the time of Amway's launch, direct selling was effectively extinct. MLM is not direct selling's legacy or even its replacement. As direct selling died, MLM took its name, date of birth and Social Security Number. MLM arose not from a need that the death of direct selling left unfulfilled, but by another need that arose after the Second World War and has only grown since then, the need for more income by families. MLM's offer to meet this need is the "endless chain" proposition, disguised in the identity of deceased "direct selling." Direct selling is defined as person-to-person sales of goods and services away from a fixed retail location in an open competitive marketplace. MLM, in contrast, is based on the selling of distributorships with funds generated from dictated and fixed-price purchases by distributors within a closed network. Direct selling came into being to meet a consumer need and demand for products. MLM came into being to exploit, not fulfill, a need for "income". MLM products do not require personalized selling and they are seldom transacted in retail terms, but as part of the elaborate income scheme. The distinction between MLM and direct selling is not just economic and market-based. The distinction is also a central factor of legality, which returns this essay to the question posed to Herbalife. That question asked where the money - in particular, the money used for payments to participants that recruit downlines - comes from, other distributors or the open retail market? In the chain letter, there is no question where the money for rewards comes from, the participants who put dimes in envelopes. For the last ones to make money, more must join the chain, forever. That being impossible, the scheme is inherently deceptive, unsustainable and illegal. In MLM, which uses buy-sell transactions of consumer goods as currency, not dimes, and offers two ways to gain money, selling to retail customers and recruiting and gaining "overrides" from the purchases of recruits and those of their recruits, etc., the question becomes which of the two sources the money is chiefly coming from, recruiting or retailing. The recruiting option depends on the Big Lie that it can continue. History records that the Federal Trade Commission, FTC, sought to exterminate multi-level marketing almost as soon as it began to spread nationally in the early 1970s, about 10 years after Amway spun off from Nutrilite and a few other such schemes had launched. The FTC argued the common-sense view that any business offering rewards contingent on future expansion is inherently deceptive and unsustainable, which is to say it lies and cheats. This view enabled the FTC to successfully bring down two other huge, incipient MLMs, Holiday Magic and Koscot. History also records that in 1979 when the FTC used the same chain-letter argument in its prosecution of Amway, an FTC Administrative Law Judge rejected the argument, under certain conditions, and allowed Amway to continue operation. History further records that within a year of the Amway decision, a new administration came to Washington with a "no-regulation-government-is-not-the-solution" philosophy and the Amway decision changed from actual history to a widely promoted legend that MLM had been "legalized." The legend omitted the unverified claims Amway had made to the judge about being "retail based." The legend left out the conditions that were imposed by the ruling that qualified the permission for Amway to operate, which were based on Amway's unverified claims about its retail purpose and foundation. In the shadow of the legend, over the next 15 years, the FTC did not examine those Amway court conditions or return at all to the original fraud question. MLMs were free to grow to gargantuan proportions, spread globally and develop a huge political lobby to prevent law enforcement. The chain letter lived on. Now, it appears the FTC and the SEC have finally returned to MLM abuses. Three significant MLM prosecutions by the FTC - Burnlounge, Fortune High Tech Marketing and Vemma - and several others by the SEC have been carried out recently, involving millions of victims. The FTC announcement of an Herbalife investigation adds to this trend. The scale of abuse, the number of people affected and the dollars involved just in those recent cases make the franchise abuses of the past, which led to FTC rule-making, appear ridiculously small by comparison. The 1979 Amway court decision has led to Amway swelling into a $10 billion behemoth recruiting in over 100 countries, and to its spawning of more than 1,000 "MLM" clones, Herbalife being but one. These political and financial facts on the ground must now be reconciled with glaring and pervasive red flags of fraud at Herbalife and hundreds of other MLMs - intensive and unmistakable focus on recruiting over retailing, false income claims and documented massive losses, 99%, among participants year after year. The Amway "legalization" legend, it turns out, like the MLM income promise and its claimed identity as "direct selling," is just that, a legend. Among those searching for the "bright line" of "illegality" in MLM, most are familiar with the 70% standard. Seventy percent (70%) of all products purchased by contract distributors in a "multi-level marketing" company should be resold by the distributors into the open retail market, providing them a retail profit opportunity. This results in 70% of the company's revenue being ultimately generated from retail sales, and retail revenue, not the recruits' own purchases, being able to fund most of the recruiting-related rewards. Less than 70% indicates a closed market money transfer, reward money for recruiters coming out of the recruits' own money who can recoup their costs only by becoming recruiters themselves. The math of the chain letter takes over. Even before examining the 70% Rule or its enforcement several obvious questions arise. Why 70%? Why not 90%, for example? Why would a company that charges a fee to join its "sales-based" income opportunity and which offers no base pay or protected territory have to impose any sellingrequirements on those that buy in? Why else did they sign up? If they are not interested in selling, why wouldn't they just purchase the goods as customers from any of the distributors? And why would a "distributor" want more competitors in his own circle? In the business world, no analogy of the "70% rule" or the need for such a thing can be found. This "70% Rule" is often called the "Amway Rule" indicating it was the test that Amway somehow passed in order to win its "legendary" case against the FTC in 1979 and that now all other MLMs must also pass. What few people know, however, is the rule that Amway allegedly passed was written by Amway! As to why it is 70% in particular, well, that is the number Amwaychose. Moreover, the judge (having never been involved in a pyramid case before or perhaps ever in sales either) never asked Amway to explain why 70% is some sort of tipping point or to provide hard evidence that its own rule was being enforced. Amway persuaded the court and the government to accept, on verbal promise alone, without verification, its own remedy against the government's charge of fraud against it. The FTC, which brought the charges in the first place, never came back to check to see if Amway's self-invented 70% Rule was being followed. It never asked again about retail sales or whether Amway was using the deceptive but mesmerizing "endless chain" promise to drive business. Bada Bing! Today, Amway argues that its own 70% Rule is irrelevant since internal transfers to its own sales force count toward the quota, rendering the very notion of retail selling moot. Since Amway invented the 70% Rule, Amway can un-invent it! The now irrelevant "Amway Rule" is also the official view of the Direct Selling Association that argues rewards to recruiters just have to be laundered through a "sale" to anyone, including the salespeople themselves, retail profit (difference between wholesale and market price) being no longer needed. This new standard requires believing that virtually all MLM "sales" involve customers willing to sign 20-page contracts, adhere to onerous restrictions on speech and what they can do with their products, pay higher prices, forego price negotiation, and assume legal jeopardy as "contractors" just to gain a small "discount", and when there is no evidence of a retail market. It beggars belief. Knowing that the "70% Rule" was invented by Amway, just as its founder's former bosses, Mytinger and Casselberry, invented "multi-level marketing", did the 70% Rule ever make sense even as a theory? In business, an analyst (or a regulator) would ask, "What is the average monthly sales volume of the resellers? How many of the total of distributors are profitable? What is their average gross profit? What is their average net profit? And how many times does their inventory turn over in a year? Without at least those figures, the claim that MLM distributors sell 70% of their inventory on its face only indicates an absurdly unprofitable business, unless the distributors are somehow able to sell at an enormous net profit, which obviously is not the case in "direct selling." Consider an MLMer actually sells 70% of what he buys in a month and "self-consumes" 30% each month (buys, keeps on hand or otherwise does not sell). The unsold inventory amounts to 30% of total annual purchases! If he purchases $100 a month, he must make at least $30 profit on the $70 of his inventory that he sells just to cover cost of what he does not sell. Marking up his $70 to $100 in order to gain $30 needed for his "self-consumption" requires that the MLM supplier offer him at least a 30% "discount" (allowing him to sell his $70 of goods for $100). First, he must find customers willing to pay full retail, when they could sign up get the "wholesale" price, like he gets. Then, he must sell to them at full retail price, no discounting or giveaways, and he can't incur any business expenses! Only in that mythical realm would he almost cover costs of "self consumption." And all of this unprofitable effort, further diluted by shipping costs and having to pay retail price sales tax, is supposedly done in order to get a small discount? Why would anyone do any retailing under these conditions or, if he did, why would he only do 70%? Despite these absurdities and despite no verification that any such 70% retailing occurs, the 70% standard is ponderously discussed as if it proves not just legality but economic viability for the distributors! It is supposed to be proof that the distributors are not pressured to recruit for profit and, by "requiring" retailing, it supposedly also functions as fail-safe protection against loss rates that are baked into an endless chain recruiting structure. Who can take any of this seriously? It is fairly obvious why Amway and the DSA, including its star member, Herbalife, un-invented the 70% Rule. Fantastical as it always was and useful as it has been as a disguise, if it were ever implemented or required by law enforcement, the MLM "industry" would quickly join chain letters, phony franchises and gifting schemes in the archives of largely extinct Long Cons. Melville would understand.